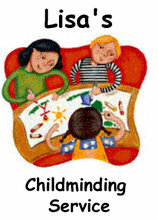 My name is Lisa Barden and I am an Ofsted Registered Childminder. I work in Wellingborough. I am registered to care for six children under eight years of age of which no more than three can be under five. As a Registered Childminder I can provide care for children of all ages in a home environment, learning opportunities through everyday activities, lower child to adult ratios, support with homework, before and after school care and term time or holiday care or both. I have been childminding since 2003 in which time I have looked after children from eight weeks old from a wide range of backgrounds. I am also mum to two energetic boys and girl. I have received the highest grading of outstanding. I run my business from my home, which includes a wide range of toys, books and activities suitable for all ages and stages of development. The equipment available includes building blocks both wooden and Lego, cars, a wooden railway, arts and crafts, multicultural toys, dolls and musical instruments to name but a few. I also have a large secluded garden with a wide selection of outdoor toys and activities. 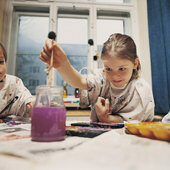 Day to day activities aim to develop children’s social, physical, intellectual, communication and emotional skills. Activities I offer at home include age appropriate guided and free play, arts and crafts including painting and other messy play, water and sand play, cookery and story times. As well as spending time in my home part of my weekly routine sees children in my care take part in a varied range of local community activities including toddler groups, the library taking in story time, childminding groups, children’s indoor play centres and playlink. One of the luxuries of being a childminder is to be able to help children learn life skills through everyday activities and to assist in this development I take children on shopping trips and include visits to places like cafes, the post office, pet shops and supermarkets. At various times during the year I also take children further a field including visits to museums, the seaside, wildlife parks and swimming. This also allows the children to experience a range of transport methods including trains and buses. I am willing to be very flexible in the hours that I work and I am happy to tailor them as far as I can to fit most peoples working patterns. I am happy to discuss any requirements that you may have for me to provide meals for your child. As part of my daily provision, I provide fresh water, fresh fruit juices and Robinsons sugar free squash and healthy morning and afternoon snacks eg fresh fruit, bread sticks or sultanas. I am happy to cater for any dietary requirements in discussion with parents and any meals I provide are nutritionally balanced taking into account the five food groups and the recommended five portions of fruit and vegetables a day. I am a member of the Professional Association for Childcare and Early Years (PACEY) and I have served on the committee of the Medway Association of Registered Childminders (MARC). In order to ensure that I provide a quality service I keep my training up to date through regular training courses and workshops. This includes keeping current with the latest developments in childcare eg Birth to Three (a government framework to support children in their earliest years) and Every Child Matters. I am also ensuring that I continue to meet the required standards in Childminding by taking additional study in the form of Quality First – a moderated quality grading scheme run by PACEY. I am fully supported in my childminding business by the rest of my family, Geoff who works for an IT software company and is involved in Scouting and a school governor, Joshua (1996) whose interests include Cubs, playing the flute and Karate, Jamie (2000), who is into everything at the moment but has taken a keen interest in Karate, and Grace (2008) who is enjoying growing up into a “proper” little girl. I originate from Australia and I spend a lot of time ensuring that my provision provides a multicultural environment for all children in my care. If you would like further details of my childminding service, I will be happy to share my portfolio with you. This includes fuller details of my service including the policy framework that I work within, full details of my registration and insurances (liability and motor), certificates from the training courses I have attended and references from parents, past and present. My portfolio also includes copies of Criminal Record Bureau (CRB) checks for both my husband and I. My aim is to provide a safe, secure, friendly, caring, stimulating environment that is a home away from home.